LoA_Find treasures hidden in Angel's Chest! 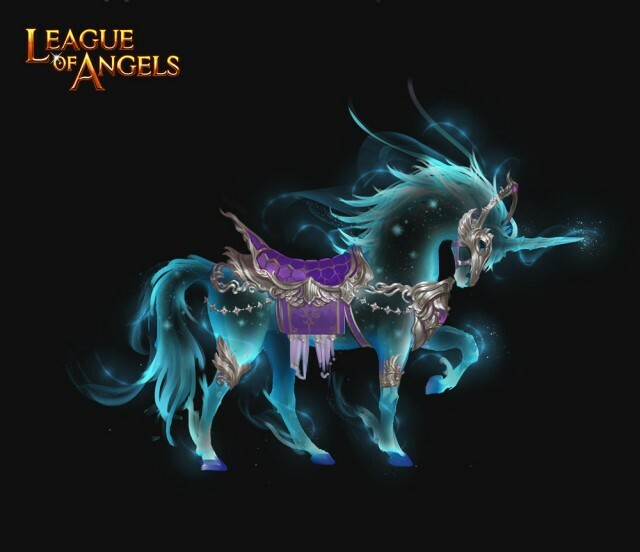 Description: Open Angel's Chest with Holy Keys, and you will have a chance to take Sunniva's Icon, Sterling Moonbeam, and Royal Unicorn home, and even obtain the brand new Moonlight Unicorn! - Click on the Angel's Chest icon on the left of the game screen to open the event menu. 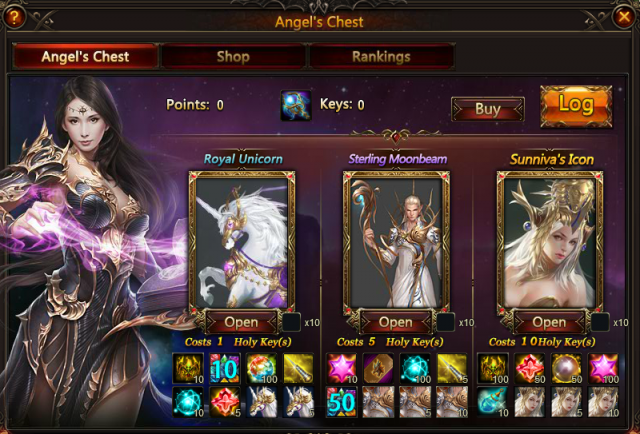 - There are 3 types of Angel's Chest: Sunniva's Icon's Chest, Sterling Moonbeam's Chest, and Royal Unicorn's Chest. Each may contain the Icon of the same name and many rare items including Blessed Stones, Seraph's Stones, and Cherubstone. - To open the chest costs some Holy Keys. They can be obtained from events ,Omnipotence, All-Round Talent, Today's Gift, Fishing Soul , Explore New Gem Enhancement, and Total Recharge Reward, or purchased for Diamonds. - For each chests opened, you will get some points. 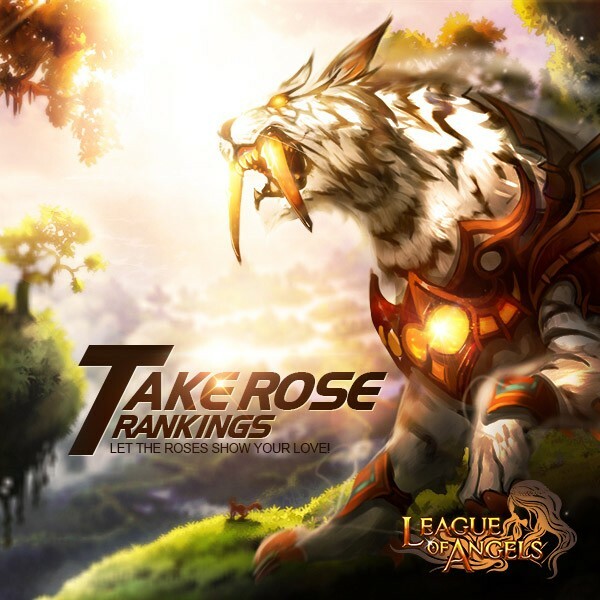 Daily Top 20 players who have at least 500 points will get extra Element Crystal; Daily Top 20 players who have at least 3000 points will get extra Runestone. - At the end of the event, the Top 20 players who have at least 300 total points or 750 points will get extra rewards as follows. Description: send roses to your beloved to get her/him the Floe Hunter! Reach certain devotion points to get free Holy Keys! This is an everyday event! Replace your magical keys with holy keys to attend the new angel chest event! Exchange Holy Keys with Magical Keys. More exciting events are coming up through October 13 to October 18. Check them out in the in-game How Events menu now!